Citrus fruits are among the healthiest and most popular fruits around. Besides being great to eat, naturally or juiced, they have all sorts of uses in the kitchen, from salads and desserts to pies and preserves. So it makes sense to grow your own if you can, since that way you can have them fresh, and know exactly what has been done to them before you eat them. If you are lucky enough to live in the warmest parts of the country, then of course you can grow them outdoors. For everyone else who might think that growing your own is not possible, there is in fact a way – by growing them in pots and moving them from indoors to outdoors with the changing seasons. There is nothing new in this idea – indeed, the earliest ‘greenhouses’ were buildings with large windows designed to keep citrus trees growing during winter in Northern Europe. The grand homes of earlier centuries had trees in wooden boxes placed outdoors in summer and then grown in these ‘Orangeries’ during the winter. If you pay attention to a few simple things, it is easy to pick your own citrus from your own trees, no matter where you live. Citrus trees vary a lot in their size and suitability for growing in containers, so it is best to choose a variety that is naturally small. These varieties will adapt better, be more reliable in flowering and fruiting, and be easier to move around than an enormous tree, which will also need an enormous pot. Varieties that are ideal for pot growing include the Meyer Lemon and the different Satsuma trees, also called clementines or mandarins. Something different to grow, and very ornamental, is the Kumquat, which carries a huge crop of small fruits that can be eaten whole or pickled as a delicious relish. Another good small tree for a pot is the Key Lime. Orange trees tend to be too large, and anyway, are easily and cheaply bought in stores. It makes sense to grow something unusual and hard to normally buy, rather than something common. A young tree can be grown in a smaller pot, but after a while you will need a permanent home for your tree. A strong pot that can be moved around is ideal, and you can buy sets of wheels that fit under pots, making them very easy to move. 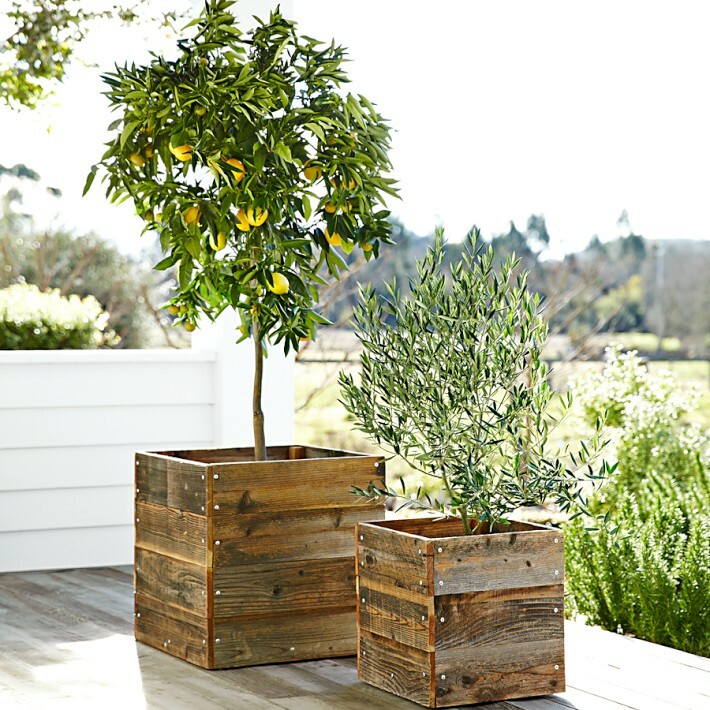 A pot that is 18 inches across and 12 inches deep will grow a citrus tree for years, and if you have the space you could even go up to a 24-inch pot or wooden box. The important thing with containers is that they must have drainage holes. This is vital, as the soil will go sour and minerals will build up in it from water and fertilizers until your tree is damaged. You need two places to grow your tree – one outdoors and one indoors. The outdoor spot should be as sunny as possible and sheltered from cold winds – the south side of your home is often ideal. It should be a spot where you can water the tree easily and where the drainage water from the pot can run away safely. The ideal indoor location is cool and bright. It is best if it is only about 50 degrees or even lower, as this will be closer to the natural conditions for the tree. A sunny or brightly-lit spot is best, as on most trees the fruit will be ripening over the early part of the winter. The switch over in locations should happen when the night temperatures are roughly equal. So if your indoor space is at 50 degrees, then when night temperatures start to fall much below that – say to 45 degrees – then it is time to move your tree indoors. In the spring, just reverse the process. When night temperatures are back in the 40s, time to move your pot outside. If a late cold night should come after you have put your tree outside, throw a lightweight blanket over it and hang an electric light bulb underneath. The heat from the bulb will be trapped under the blanket and protect your tree from the cold. Use a potting soil designed for citrus trees if you can find it. If not, mix together houseplant soil with cactus soil in equal parts, so that you have good drainage. Do not use garden soil in your pot. Water whenever the top couple of inches are dry, and always water until it flows out of the drainage holes. If you must use a saucer underneath, throw away the water in it – don’t leave your tree standing in water. Use liquid fertilizer regularly, and follow the directions on the box. If you cannot find one specifically for citrus, use tomato food instead. Normally trees should be fed from early spring to the time you harvest the fruit, and given a rest for a while after that, by stopping feeding and letting the soil get a bit dryer than usual. If you do see some insect pests in winter, a Q-tip dipped in alcohol can be used to remove them. Once you put your tree outside again pests normally disappear in a few weeks, as outdoor predators deal with them for you. Pruning is not usually necessary, but if you tree gets too tall for you, shorten back the long shoots to keep it more compact. Don’t let it become too dense and bushy – remove a few inside branches if necessary to keep it open and let the sun right inside. It should throw a dappled shadow, not a solid one. Growing citrus in pots in fun and easy to do. You will enjoy smelling the perfumed blossoms and watching the little fruits develop, until it is time to harvest them and enjoy eating your very own citrus fruits. Pretty soon you will have an indoor orchard! I have a key lime in a pot and it is growing fruit right now well. But all of a sudden I have outer branches wilting. The color on these leaves is lighter than most. We found a few catapillars and removed them but the leaves are still wilting . The lighter leaf color is probably normal – new leaves at this time of year would naturally be lighter – they darken as they mature. But if they are very yellow, that is a sign of problems. How good is the drainage in the pot? What kind of soil is it growing in? Do you ever leave the plant standing in a saucer of water? You should never do that. Citrus need good drainage, and coarse, open potting soils, not regular house-plant soil. My best bet is this is a root-rot issue. Are all these wilting branches connected to one larger branch, or are they all over the plant. If on one branch it could be that branch is dying. 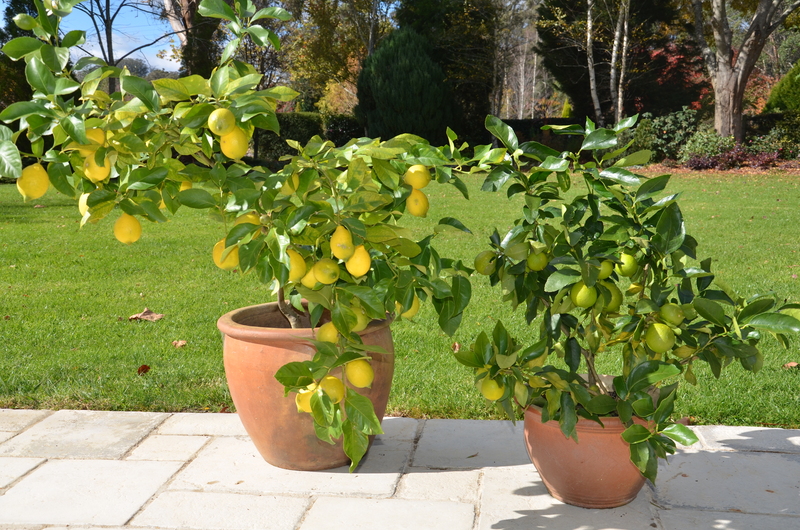 I suggest re-potting into the correct citrus soil in a slightly larger pot – a porous clay pot is better than plastic. When you take it out of the pot you will be able to see if the roots are healthy, or if they are brown/black and dead. Remove any dead roots, and shake off whatever old soil easily comes away. Good luck with it – I hope it recovers. I find citrus work in slow motion – it can take a long time to see the results of something – good or bad.